This a guide and tutorial on how you can unlock your Samsung Galaxy Q to any GSM network. Cellunlocker.net is proud to announce we are one of the first companies offering unlocking for the Samsung Galaxy Q to any GSM network! 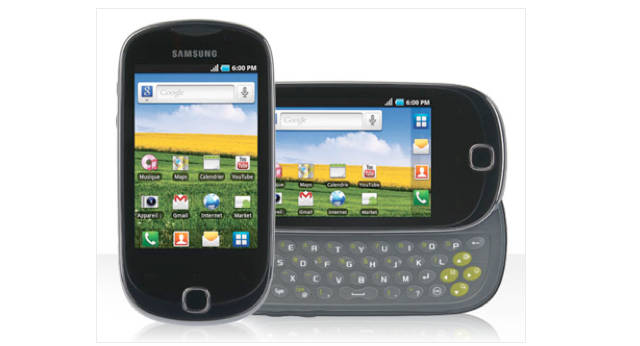 Rogers Wireless in Canada has released the Samsung Galaxy Q. Its a QWERTY slider phone, and runs on the platform Android OS 2.2. It also includes a 3.2-inch touchscreen display, 3 megapixel camera with video capabilities, HTML browser, Wi-Fi. Its one of the more simpler, but easy to use Samsung Galaxy devices. Cellunlocker.net is proud to announce we can unlock this phone fast and easy. Once your Galaxy Q is unlocked, it is permanently unlocked even after upgrading the firmware. We can eliminate the “Sim network unlock PIN” message your Samsung Galaxy Q device will have, by pass this step by entering the unlock code. 2. Detailed unlocking instructions and guide on how to unlock your Samsung Galaxy Q with an unlock code. Unlocking your Galaxy Q by Samsung has never been Easier! UNLOCK MY SAMSUNG GALAXY Q Now! * The resell value of the Samsung Galaxy Q will increase significantly as it is available to more carriers. * There is absolutely no risk of damaging your Galaxy Q by unlocking it. I can’t get the IMEI code because the phone does not start. The only thing it shows is the logo with the name Samsung Galaxy-Q SGH-T589R. I got a Samsung Galaxy Q smart phone. Someone tried tounloc it inEurope but it did not work. I got it back in Canada and want touse it here. However when trying to start ithe devic it shows only the Samsung logo (during the booting sequence) and emains thisway. Wht shall I do ? What about to us it in North America ?